In honor of the Air Force Birthday today, and since I’ve already posted photos from my time at BMT, today’s #TBT photo of me in uniform is from early 2001 when I was an Airman First Class at Ramstein Air Base. Martin had the day off from the Bundeswehr, so he surprised me by showing up at my office with lunch. 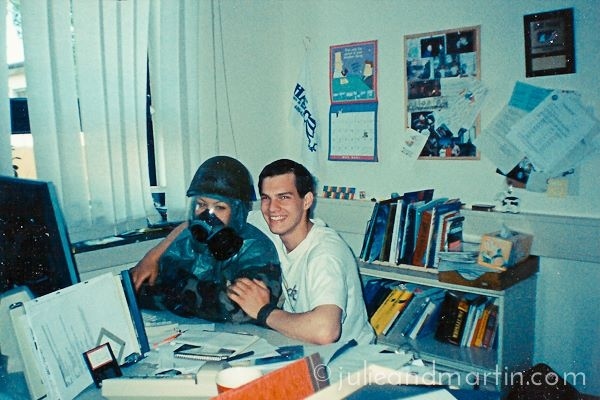 Unfortunately, we were in the middle of a training exercise and I was decked out in MOPP gear and had to occasionally crawl under my desk to take cover. Most awkward lunch date ever.